Home › News and Reviews › Who owns who? A history of car company ownership – who owns who? When it comes to the world of automotive companies and brands, it may be surprising to know that many of them have a long history of buying, selling, owning, merging with or being owned by other automotive companies. It’s difficult to keep track! So if you didn’t know that Ford owns Mazda or that Geely owns Volvo, here’s a look at the history of some of our favourite car brands, and who’s owned, bought and sold who over the years. Some of these now-massive multimillion dollar corporations had less than humble beginnings, and some ownerships may surprise you. Hyundai – Not just a popular car make, Hyundai is a large group of companies founded in South Korea, and covers many different products and areas. It originally began in 1947 as a construction company before moving into building ships, cars and even elevators. Hyundai’s car manufacturing arm, Hyundai Motor Company, released its first car model, the Cortina, in collaboration with Ford Motor Company in 1968. Hyundai bought KIA motors in 1998. Mitsubishi Is one of few car manufacturing companies which hasn’t bought or sold any other car manufacturers. First established as a shipping firm in 1870, Mitsubishi is now a massive conglomerate which has produced everything from steel, paper, glass and electrical equipment, and dabbled in oil, mining and real estate. During the Second World War, Mitsubishi manufactured aircraft, and many may not know that popular Japanese beers, Kirin and Asahi are also part of the Mitsubishi conglomerate, as is optics and camera company, Nikon. Volkswagen – Makers of the much-loved “vee-dub”, Volkswagen was originally founded in 1937 as a manufacturer of the “people’s car”, a literal translation of the company’s name. While the actual Volkswagen brand is the highest selling and most popular, the Volkswagen Group also owns Bentley, Skoda, Audi, Bugatti, Lamborghini, and a truck manufacturer, Scania. Kia – South Korea’s oldest car company, Kia began in 1944, originally manufacturing hand-made steel tubing and bicycle parts. It eventually grew into a car manufacturer, and has also made a number of military vehicles for the South Korean government. Kia was bought by Hyundai in 1998. 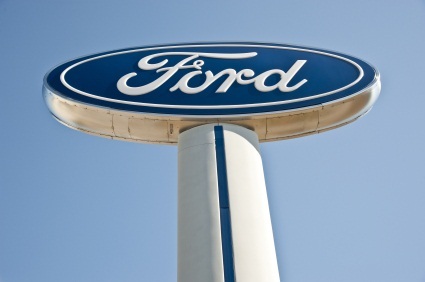 Ford – The car company that pioneered modern car manufacturing as we know it, it’s not surprising that Ford has its finger in a number of companies in the car manufacturing pie. Ford bought Aston Martin in 1989 and sold it in 2007, retaining a small minority stake. Ford bought Volvo in 1999, selling it to Geely Automobile in 2010, and also sold its UK subsidiaries Jaguar and Land Rover to the Indian company Tata Motors in 2008. Ford owns a small part of Mazda, and even though it has reduced its stake from 33.4% to just 3% in the past three years, the companies are still strategic partners, conducting joint ventures and sharing technological information. Geely – The youngest company of the lot, Geely had humble beginnings in 1986 as a refrigerator-maker. Geely acquired Volvo from Ford last year in 2010, and has grown to become one of the top ten Chinese automakers. Geely also acquired the Australian Automatic transmissions supplier Drivetrain Systems International (DSI) based in Albury NSW. Chinese Automotive Distributors, based in Perth Western Australia is the exclusive distributor for Geely Vehicles in Australia.